The Buddy Johnson Orchestra was one of the most popular R&B based bands during the immediate post war years. Buddy was typical of many bandleaders of the time who often put entertainment ahead of art. By taking that route he enjoyed more hits than most of his contemporaries. He also managed to write some great songs including the now standard, “Since I Fell For You” performed here by his sister Ella Johnson. 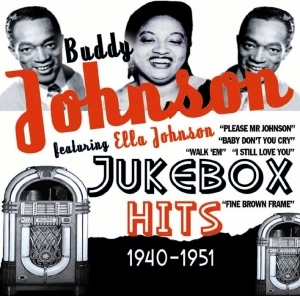 Here are Buddy Johnson And His Orchestra’s 21 greatest Jukebox Hits.